The Rain101A is a complete system to accurately measure and record rainfall over long periods of time. 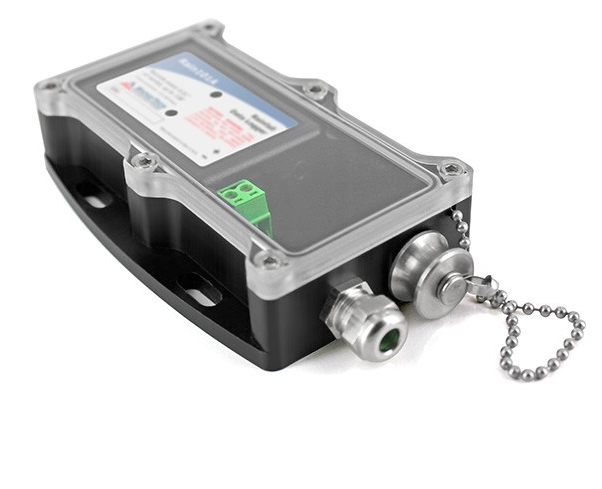 It comes complete with an Event101A data logger, weatherproof enclosure, tipping bucket rain gauge, 50 ft of cable and the IFC200 interface cable and software package. It can record up to 6 in of rainfall every hour and 131 in of rainfall total. The Rain101A only records to memory when rainfall is present, maximizing the amount of time the system can record. Using the logger’s built-in Engineering Units, the data can be offloaded and displayed in user-specified units (eg. inches, centimeters). The software can “totalize” the rain bucket tips, allowing easy viewing of the accumulated rainfall over the time period of interest. 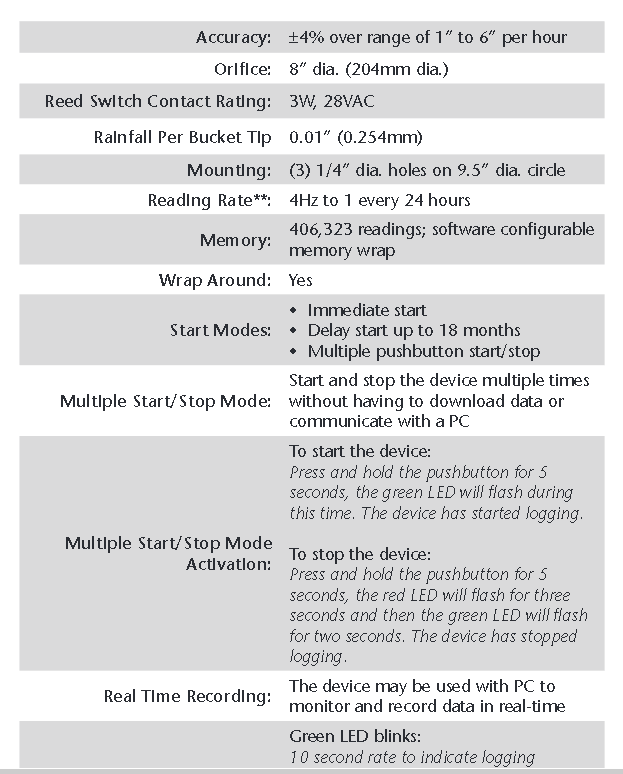 The Rain101A features a 10 year battery life, 4 Hz reading rate, a multiple start/stop function, ultra-high speed download capability, 406,323 reading storage capacity, optional memory wrap, battery life indicator, optional password protection and more.